There are currently more than 30,000 WordPress plugins available through their directory. This doesn’t count the various plugins that independent developers have made and that you could get through their sites. Each of these plugins is designed to help you get the most out of your WordPress account, but because there are so many to choose from, it can be somewhat difficult to see the wood for the trees. Sifting through everything that is available can be a mammoth task, so hopefully the following information will help you in terms of knowing which ones are the best. Two things are very important for any website, whether you build them in WordPress or not. These two things are having a backup and making sure that your site is optimized. By using W3 Total Cache you address both of these things. A word of warning is in order, however. W3 Total Cache is quite a complicated plugin to use. If this is your first WordPress site or if you are otherwise new to the world of website building, you may want to stay away from this one. It won’t harm you to install it, but if you don’t do it properly it won’t benefit you either and it may just make your page load slowly. Another fantastic plugin is the All in One SEO Pack. This particular plugin is one of the most popular on WordPress, with over 18.5 million downloads to date. It’s the perfect pack to help you get your site found on the major search engines. Widely considered a WordPress essential, Michael Torbert’s All in One SEO Pack should be one of the pillars in your search engine optimization efforts. Another word of warning however, in recent news, two major security flaws were identified with the All in One SEO Pack. One flaw made it possible for anyone with access to the dashboard to change titles and other descriptions. The other made it possible for random people to gain access to the dashboard. Put together, the two meant that those with malicious intent can have a field day in destroying people’s SEO efforts. Luckily, these issues have now been resolved, but you do have to make sure that you have the latest version. Email marketing is still a very hot topic. It has received a lot of negative press, but this doesn’t mean that people have stopped using it. Rather, they have found ways to make it right, so that people no longer complain about spam and other issues. If you run email campaigns, then the 404 Email Alerts plugin is absolutely essential. 404 errors are a cause of concern for many WordPress users. These errors not only affect user experience on your site, they can also affect your site’s performance on search engines. Because email marketing and SEO efforts are very closely linked together, this plugin will potentially do miracles for your overall website. It’s a particularly useful plugin for those who have moved their websites, such as to the self-hosting WordPress version. 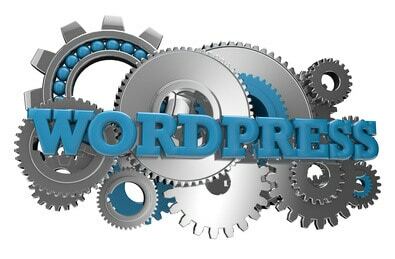 These are but three of the most important plugins that you can download through WordPress and there are many more. It’s generally best to start by identifying what your goals are, and to then find plugins that will help you achieve those particular goals. If you can think of a useful plugin, it’s likely that it already exists.